Maybe something a little different for your little Sprout!  Why not celebrate their birthday with us at Sprouts Farm Club? Available for children of all ages - we will cater to your needs. Our parties are usually run on Sunday mornings - please check for availability. Decorate a plant pot and pot up it up to take home. Meet the pigs, hear silly stories about them and feed them. Feed and cuddle the chickens. Sit on the tractor for photos / group photos. After the party activities, you have use of the farm school areas to have a run around, play, host a birthday picnic and blow out the candles on the birthday cake. Chose from different spots for your lunch: pitch up under the willows, sit watching the pigs or camp out in one of our 6m Bell Tents. Our parties start at £150 for up to 8 children. All additional children will be charged at a rate of £15 per person. The cost includes all activities, a farm school leader for the duration, hire of the farm school facilities, invitations to give to your guests and photos of the party taken by our resident photographer.